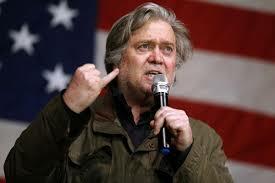 Voci dalla Germania: Steve Bannon sulle elezioni italiane intervistato da "Die Weltwoche"
Steve Bannon sulle elezioni italiane intervistato da "Die Weltwoche"
Intervista a Steve Bannon sulle elezioni italiane pubblicata da Die Weltwoche, (in inglese). Steve Bannon has been in Italy witnessing the elections. Before his first public speech in Europe, in Zürich Switzerland, the former White House security advisor, analyzes the first results of the elections. He talks to Weltwoche foreign editor, Urs Gehriger.